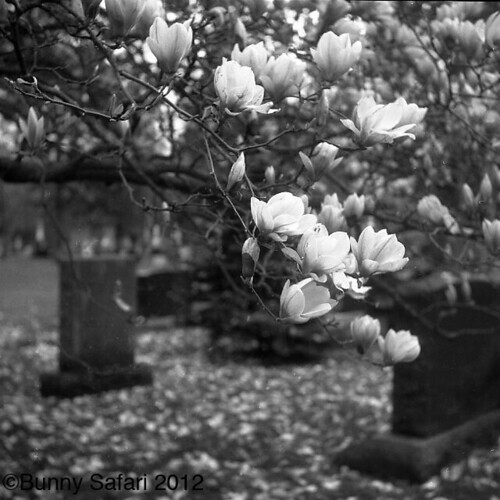 Magnolias & Tombstones, originally uploaded by BunnySafari. Everyone likes a Friday, non? No matter the weather or the political climate or general state of affairs, it just feels good and sounds like freedom. Just like that, another Fourth Friday comes rolling around tonight to fill you with Downtown Love. Visit the still shiny new Museum, or the Whitestone Gallery, Wyndham Art Supplies, The Casual Gourmet...so many delightful venues to spark the creative community soul in you. Now I know it's downright chilly today at a mere 16 degrees, but let's remember it's still March people. And because I love and appreciate Bunny ever so, her lovely shot of magnolias is our One Shot Wonder today. A great reminder that we are always living and dying, and growing anew. Even when things are all a-kilter.